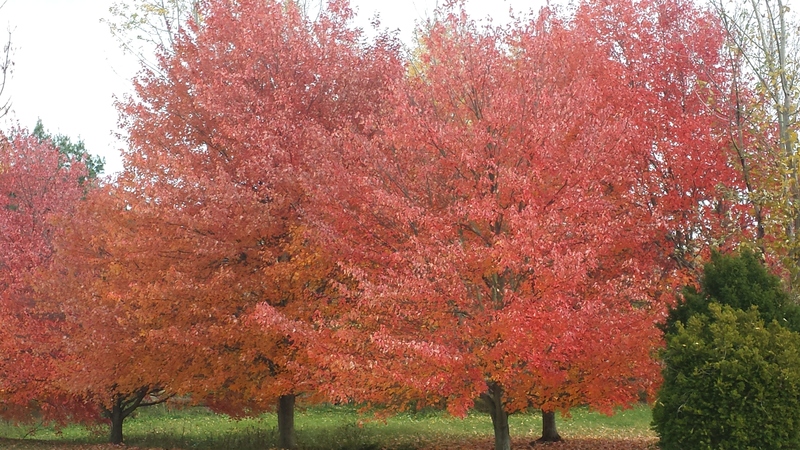 Chlorophyll normally masks yellow, orange, and red pigments. Until autumn, when true leaf color is apparent. We’re exulting in a glorious autumn. 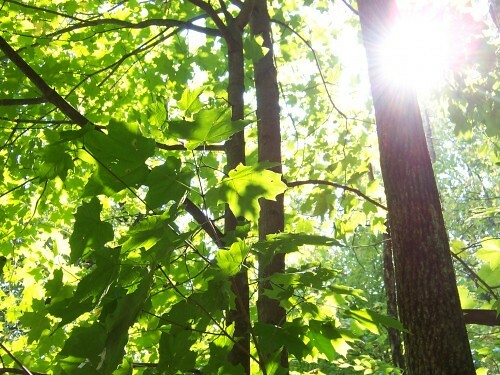 Week after week we are blessed by bright leaves against deep blue skies. 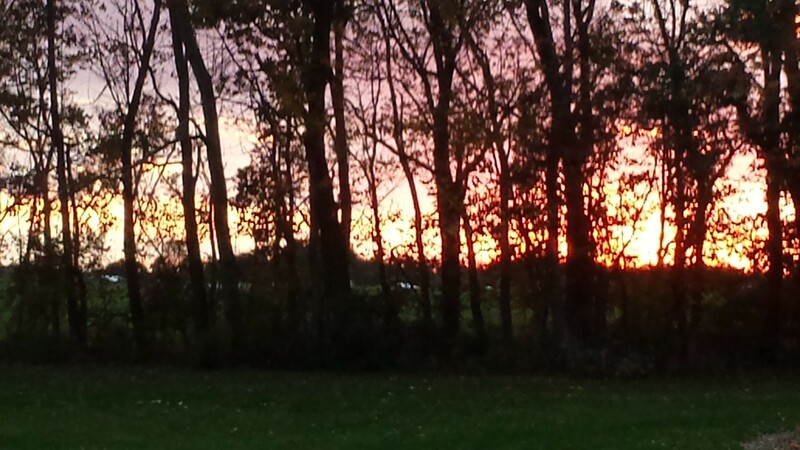 As they lose their chlorophyll they teach us about the beauty of endings. 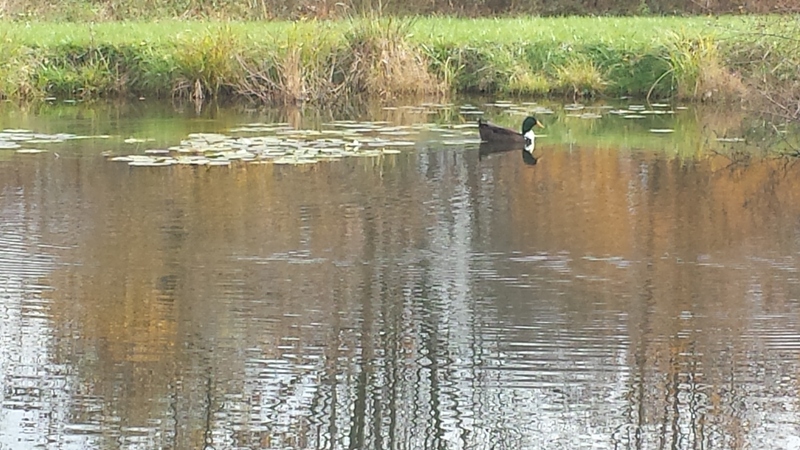 Al the duck floats serenely on the pond. He has an active social schedule. About a dozen mallards visit every morning. They swim together, preen together, and waddle out to nosh on cracked corn together. Once they leave Al flaps back to the pond to swim the day away. 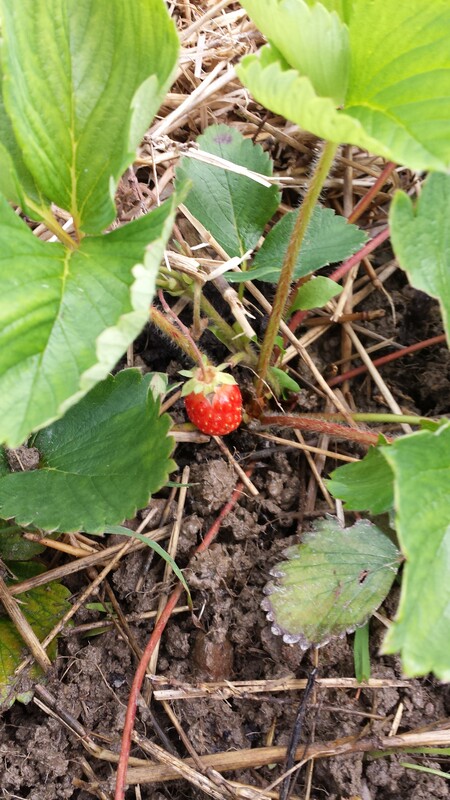 A lone strawberry, veteran of several frosts. We’re still harvesting in the first week of November. Beets, butternut squash, Jerusalem artichokes, Brussels sprouts, tomatillos, and one brave strawberry that somehow soldiered on through several frosts to ripen. And roses, lots of roses! Pumpkins that already served as Halloween decorations now find another use. 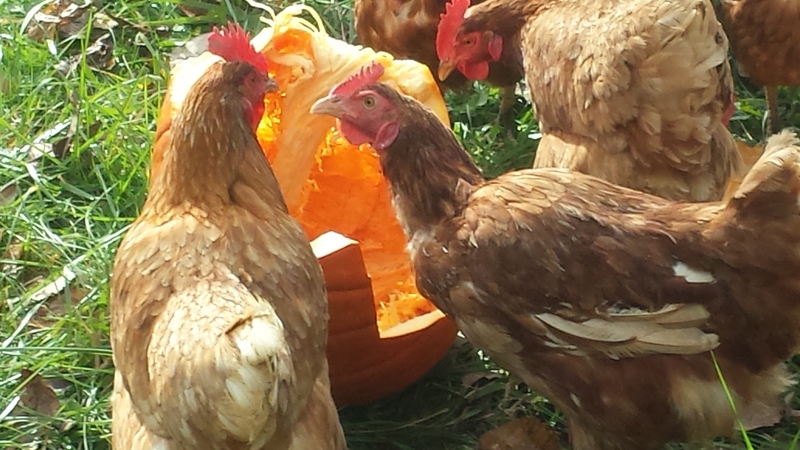 Fowl interaction over some pumpkin flesh. 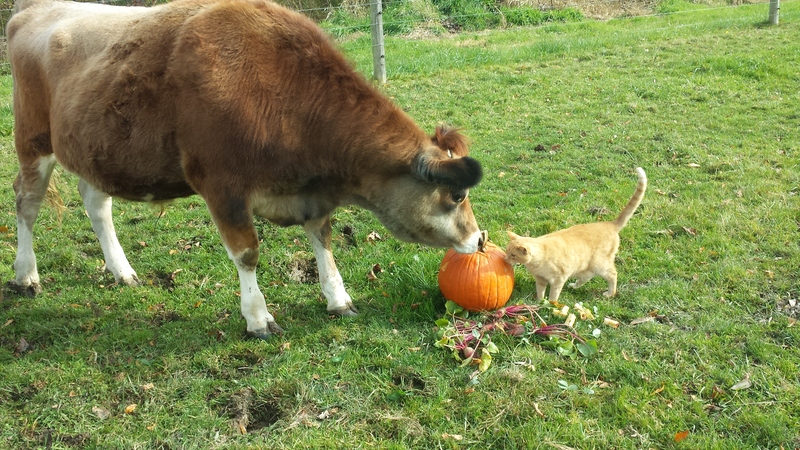 Why is there a pumpkin in our pasture? than squash with a face. 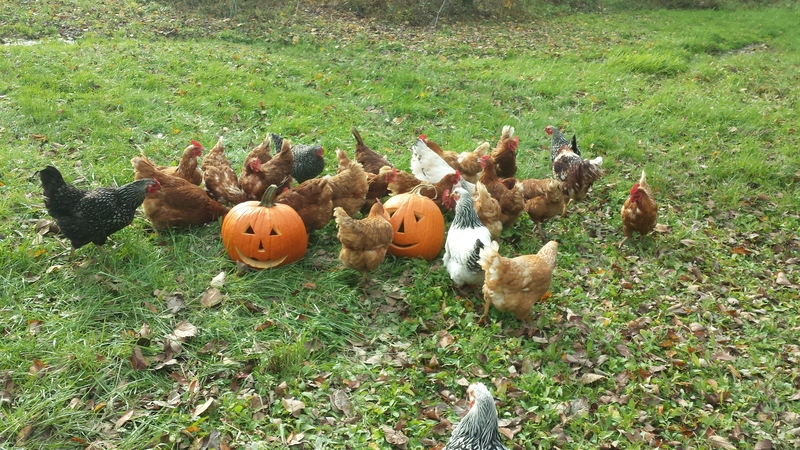 No matter, those pumpkins come back to us as milk and eggs. All the while I feast my senses on golden fields ready for harvest, bright green grass, gardens clattering with dry weeds, brisk winds, and the incomparable scent of this season. It’ll nourish me through the long winter. Ahhh, autumn. 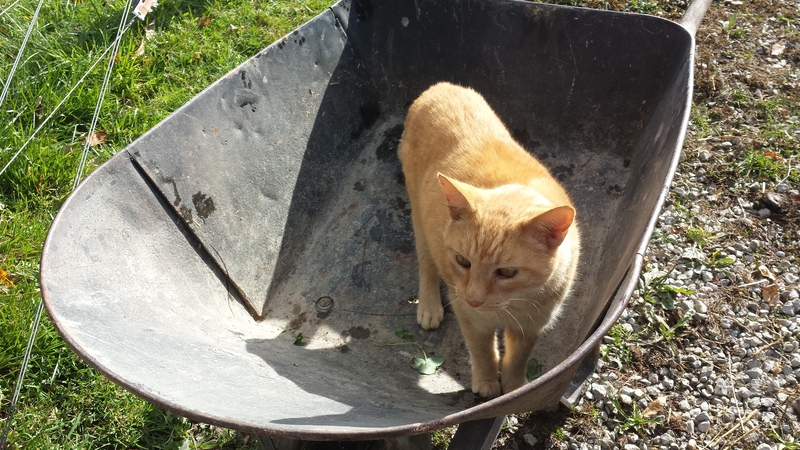 This entry was posted in animal relations, autumn, chickens, farming, photos, rural life and tagged animal relations, autumn, cow and cat, farm photos, farming, uses for pumpkins. Bookmark the permalink. 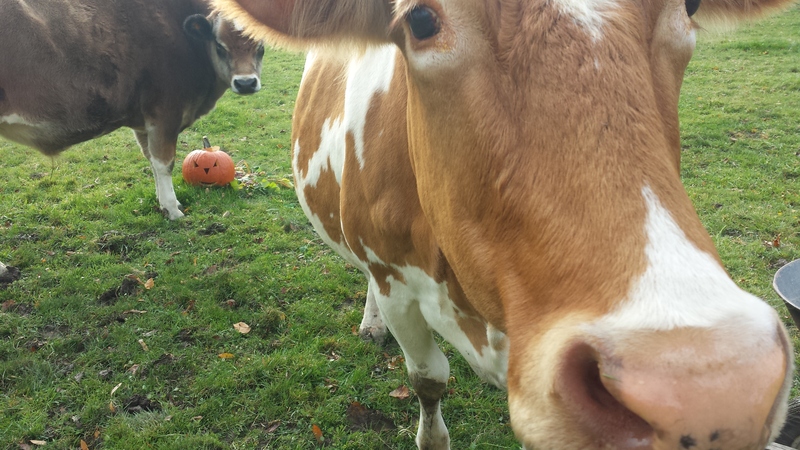 Love your beautiful Jersey cows… I miss autumn colour in the tropics; leaves don’t turn colour and fall because it just doesn’t get cold enough. I think all animals have natural curiosity. Often we can’t see it because they don’t have what we recognize as expressive faces, as dogs do. 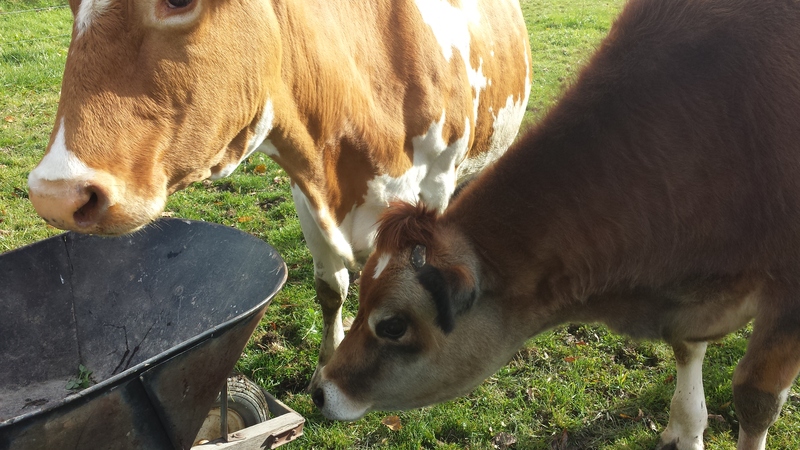 Our cows are intensely interested in anything different. When I bring a different bucket out back they sniff it, lick it, knock it over, and play with it. I remember reading a study that said cows exhibit “eureka” moments when solving a problem, they actually leap with joy. And cows also form strong attachment relationships to offspring and certain herd mates. Maybe I just find them interesting. I’m strange that way. 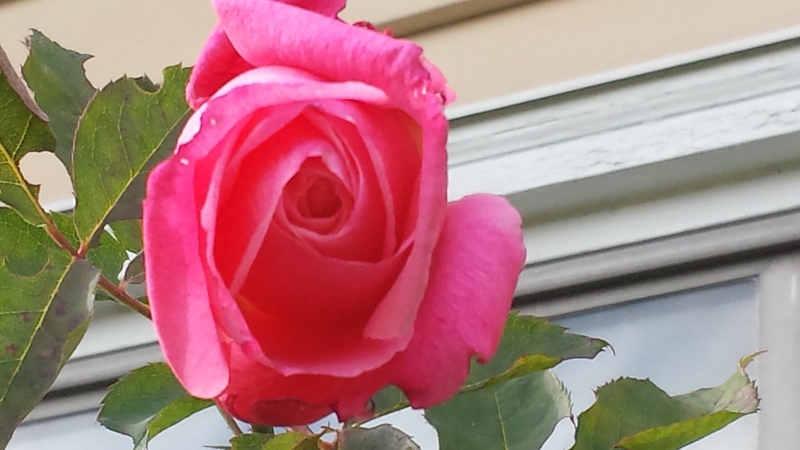 Dear Laura – you have captured the perfection of this season so fulsomely – Nature knows how to celebrate and then let go in a way I am still trying to learn. How marvelous. Thanks so much!